Don’t you think the ‘Hanseatic League’ sounds like it should be an alliance of superheroes? Pretty classy ones, though. They would all have a European sophistication about them and perhaps fight the baddies by outnegotiating them or using some kind of secret intellectual weapon. 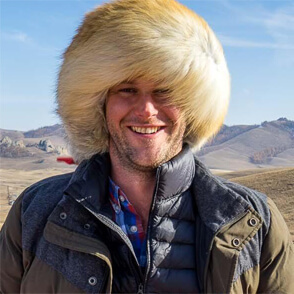 Well, that’s what I think of when I hear the term – and it’s not too far from the truth. The Hanseatic League was a collection of guilds and cities along the coastline of Northern Europe (mostly Germany) that worked together as a trading confederation to look after the economic and political interests of each other. By having this agreement, they were all able to become very wealthy and keep potential competitors in check. 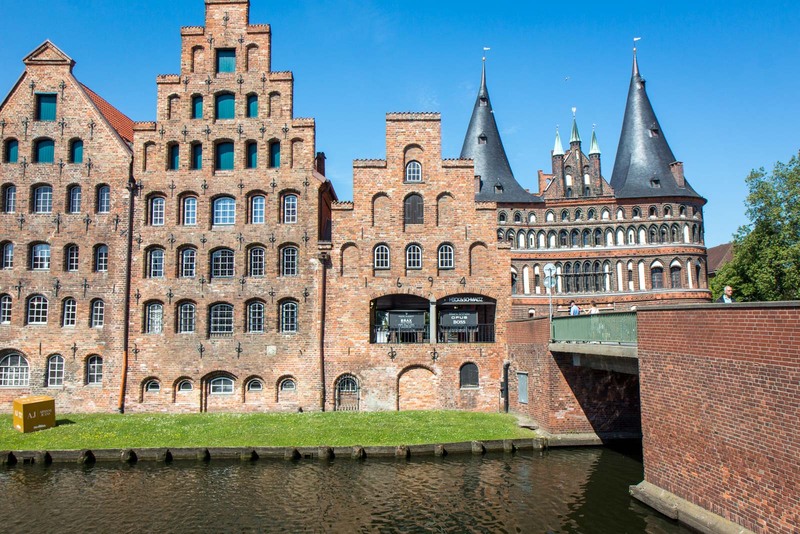 At the centre of the Hanseatic League was the city of Lübeck – the capital of the organisation and often referred to as the ‘Queen City’. For four hundred years – from the 12th until the 16th century – it was an extremely rich and influential trading centre in this part of the continent. 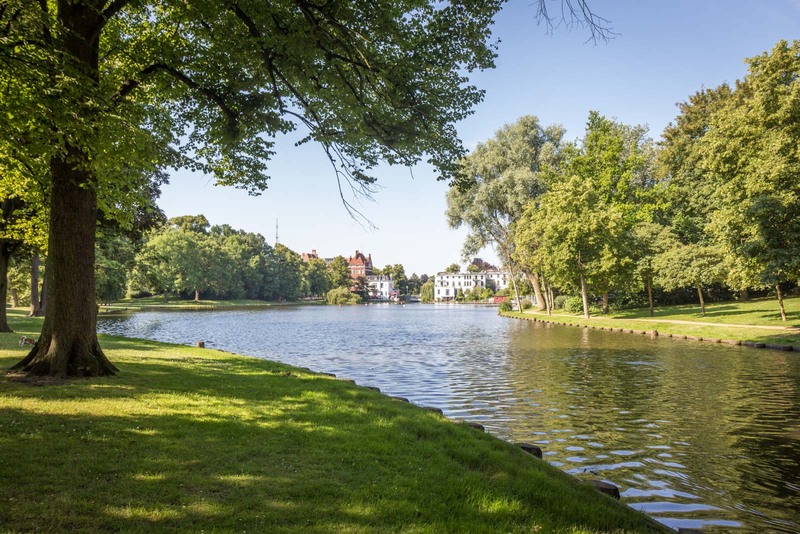 This wealth manifested itself in the buildings that were constructed in Lübeck. The old part of town is on an island and it was once filled with the homes of the top merchants and artisans. They were all nestled in the shadows of the grand religious monuments that dominated the skyline of the island. Although many of the homes and shops have changed since those days, the churches remain. At the centre is the enormous St Mary’s Church, one of the oldest in the city. 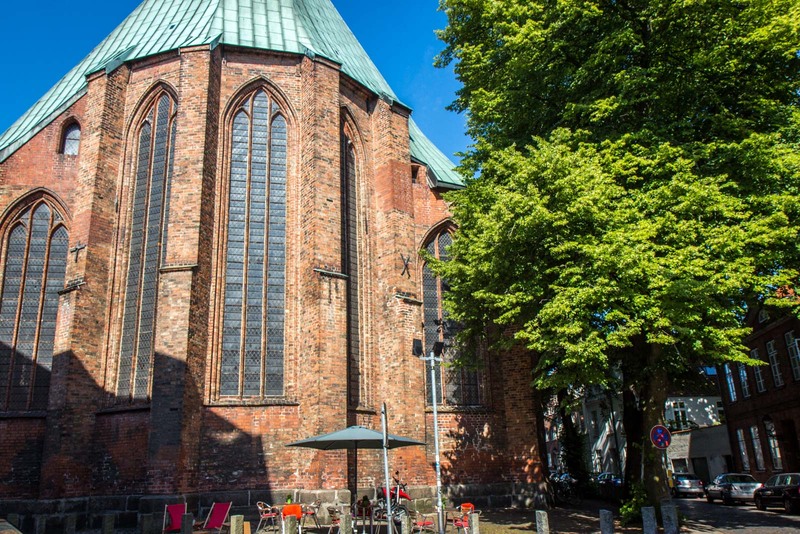 It is built in a beautiful Gothic style using north German bricks. 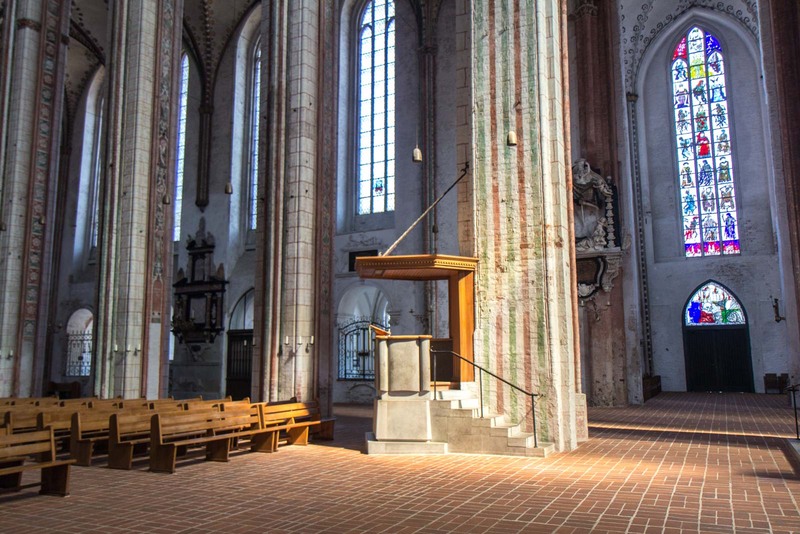 It has the tallest brick vault in the world and was used as the inspiration for the construction of other churches all across Europe. There are four other principal churches in the old town and in total seven spires reach up to the heavens from the island. 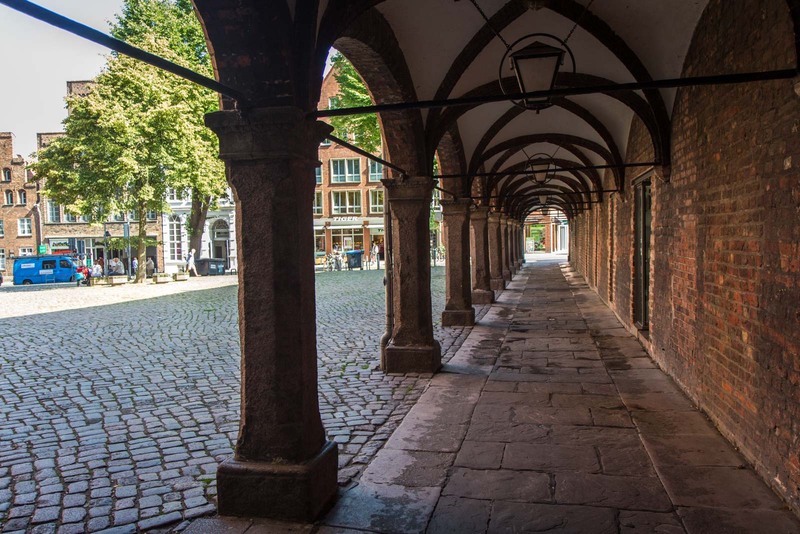 Walking between each of them takes you on a journey past more Gothic buildings, to wonderful architecture from the Renaissance and Baroque periods, through alleyways with merchant houses, and along old fortifications. 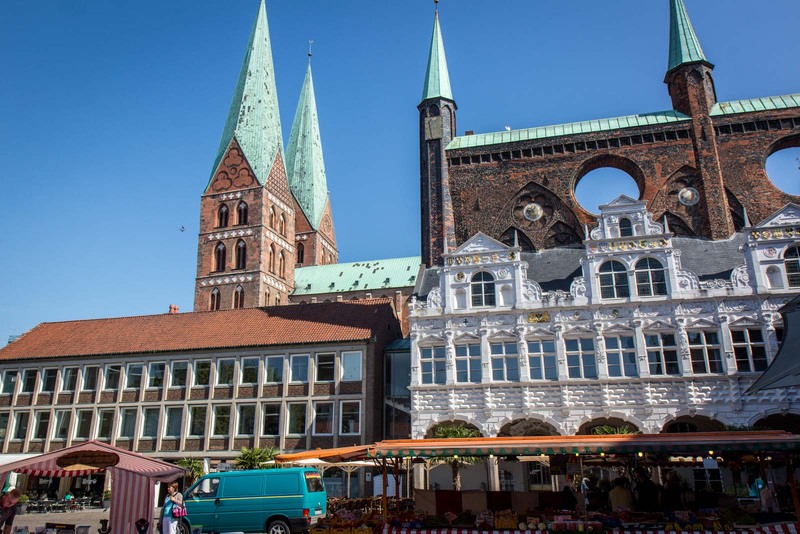 Even centuries after Lübeck lost any official title as the leader of the Hanseatic League, the power and wealth of this city is immediately evident. 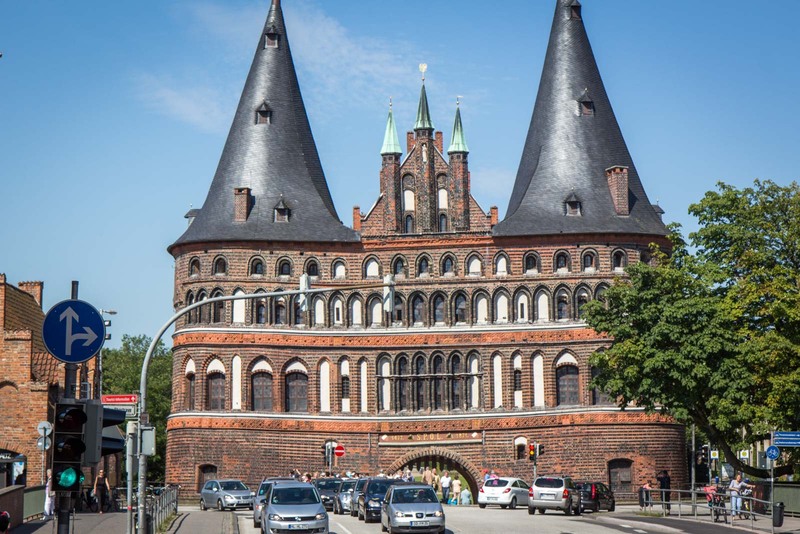 I arrive in Lübeck by train and the first thing I see is the large Holsten Gate, the large Brock Gothic entrance to the old town that is often considered to be the main symbol of the city. It’s a wonderful way to be greeted. 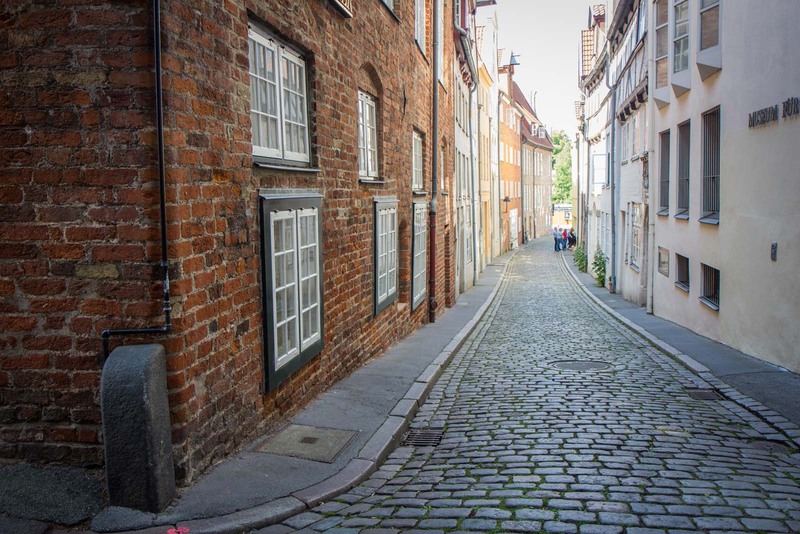 Once you pass through the gate and into the old town, it is easy enough to explore on foot. 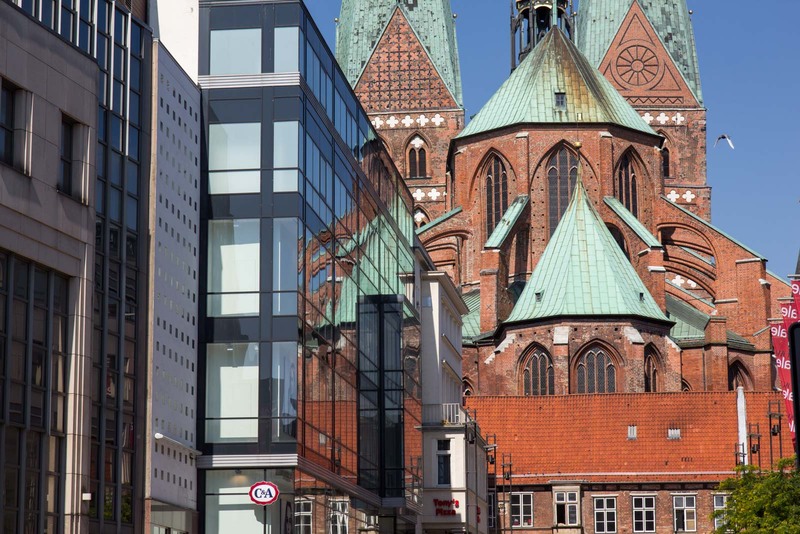 The main sights that are worth seeing are St Mary’s Church, St Catherine’s Church, the Lübeck Cathedral, and the Town Hall. Of course, the other main churches (St Peter’s, St Jacob’s and St Aegidien’s) are all of interest too. The Koberg area at the north of the island is best preserved part of the old town and much of it dates from around the 13th century. Also worth considering for a visit are the Buddenbrook House and the Gunter-Grass House, which are both museums dedicated to winners of the Nobel Literature Prize that came from here.